New MOT test rules coming in May 2018! From May 2018 the MoT test is set to get a shake up which will see the introduction of new failure and defect categories. The test will now categorise defects as Dangerous, Major or Minor. Under the new rules drivers will fail their MoT test if they receive a Dangerous or Major fault, And will be unable to drive it away from the garage, Until the defect has been repaired! Furthermore those who receive a Minor can still pass the test. But Minor faults will now, be printed onto the car’s MoT certificate. I find this unfair, They will have us all over a barrel to charge what they want to fix the car. You won’t be able to take your car away and return it for a retest like in the past. you won’t be able to go to another garage to shop around for a better price, or even take it to you own driveway to fix the faults, if your mechanically minded. They’ll basically have your pride and joy impounded. 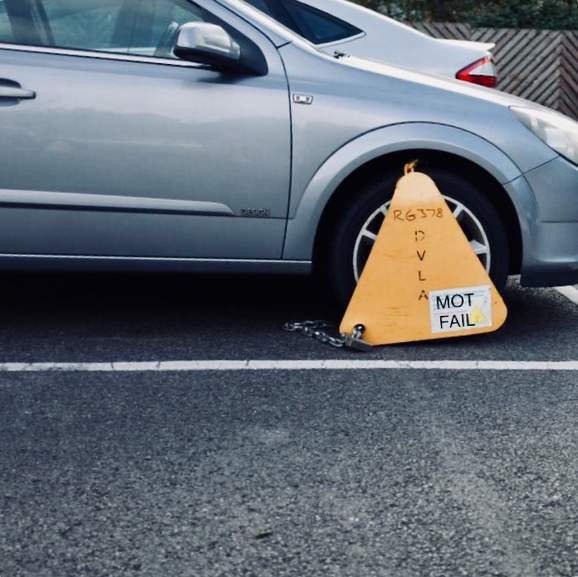 As an mot tester/mechanic myself, there is nothing in place or going to be put in place (maybe in the future, who knows) to stop you from taking your vehicle away after a test if it failed, there has always been a dangerous criteria for a fail item or indeed for a non-testable item. The whole manual has been re-written & there are now a whole raft of new testable items & also no longer a pass/fail. It will now be listed as minor (pass) major (fail) & dangerous. Pdf of the testing manuals up till the 19th may 2018. 3rd one down is the draft of the new manual, which,i should imagine is still subject to revision, because as a tester some things don't make sense. Special notice 02-18 mot testing guide. if you are getting the car MOT'd before its expiry then the car still has a valid MOT certificate so surely you can drive it? I assume the scenario given would only apply if the car didn't have any MOT in the first place? My mot station doesn't do repairs. I wonder what they plan to do in this situation! Maybe you will have to pay the costs of a car transporter to their recommended repairer! Which might be an expensive one like Halfords or main dealer! I wonder what they plan to do in this situation! Maybe you will have to …I wonder what they plan to do in this situation! Maybe you will have to pay the costs of a car transporter to their recommended repairer! Which might be an expensive one like Halfords or main dealer! Have looked at this a fair few times now. How are they going to check half this stuff on the list without removing parts from your vehicle? Hids, contaminated brake fluid. Thought all they can do to check your brake fluid was shine a torch through the reservoir, not allowed to remove any parts. I can see a few court cases in the future. But then person checks up, and it’s a £20 part off eBay and the haynes manual says only an hour labour needed! They will need to start charging fairly for work. Are you all aware that you can get MOTs done by local councils? They generally don't do repairs either, so there's no vested interest to fail you in the hope you'll spend. Though the new rules will still have to apply of course. if you are getting the car MOT'd before its expiry then the car still has …if you are getting the car MOT'd before its expiry then the car still has a valid MOT certificate so surely you can drive it? I assume the scenario given would only apply if the car didn't have any MOT in the first place? No as the new mot would supersede that mot, rendering the old one invalid, you can’t just pretend like that mot test never took place!, If they have failed it on a dangerous fault, They have the power and will keep your car as long as they like, until 1. the repairs are done. and 2. you cough up the cash. It’s very unfair isn’t it. Neither does mine. Its council run. No as the new mot would supersede that mot, rendering the old one invalid, …No as the new mot would supersede that mot, rendering the old one invalid, you can’t just pretend like that mot test never took place!, If they have failed it on a dangerous fault, They have the power and will keep your car as long as they like, until 1. the repairs are done. and 2. you cough up the cash. It’s very unfair isn’t it. I can't see how legally they can keep hold of your property? I can see a fair few mot testers with black eyes lol. Joking aside it ain't going to be much fun being an mot tester if this is true. I'm aware of changes regarding hids, removal of dpf filters, tighter control on emissions ect. But not this. Seems a bit crazy from what's being said. What were they thinking with this rule? Already its very hard to find a trustworthy garage. Moonwolf, please don't try to reiterate your incorrect opinions as fact when you are actually incorrect, it's misleading and childish and doesn't help other members. Obviously fact can be tied to actual concrete evidence so a link to some government law would always be more worthwhile than winging it and just making it up as you go along. The tests and what is tested is changing, couldn't have happened sooner. But, in light of your They keep it rant, that's not true. MOT is valid for full year from date of issue, you can have an MOT done whenever you please but if there is less than calender month remaining on your current one, that previous MOT is valid up until is anniversary expiration date. If it's longer than a month till expires, new test takes precedence. If though like you say they can keep it, MOT expired, new MOT failed well that boils down to thing, you leave your MOT till the last minute when yours has expired. If that's case and it fails they should keep it as you clearly aren't as responsible of a car owner and driver as one would hope. A car could fail on a seatbelt, it doesn't make it unroadworthy if that particular belt is not being used. A car could fail on a seatbelt, it doesn't make it unroadworthy if that …A car could fail on a seatbelt, it doesn't make it unroadworthy if that particular belt is not being used. Or a headlamp bulb during the day. Still won't have a valid MOT though. So what happens if 2 days after the test you get stopped NOT going to a garage to have the work done/pre booked MOT for a retest? What's the police line on that? Just having a quick google on the subject it seems to me that all they're really doling is changing the word advisory to minor fault? Yes/No? So what happens if your car fails the mot, and you think oh sod it I'll scrap the thing, would you just leave it at the garage and drive walk of into the sunset? Or a headlamp bulb during the day. Still won't have a valid MOT though. So …Or a headlamp bulb during the day. Still won't have a valid MOT though. So what happens if 2 days after the test you get stopped NOT going to a garage to have the work done/pre booked MOT for a retest? What's the police line on that? It's your responsibility to keep your car roadworthy. Still get the points for tyres & the likes. As of may 2018 all cars over 40 years will be exempt from mot testing, doesn't mean they can ride around in a complete shed. Guess, people who have classic cars, are more trust worthy to look after their vehicle, than someone with a Ford fiesta. Isn’t that the current rule? Moonwolf, please don't try to reiterate your incorrect opinions as fact …Moonwolf, please don't try to reiterate your incorrect opinions as fact when you are actually incorrect, it's misleading and childish and doesn't help other members.Obviously fact can be tied to actual concrete evidence so a link to some government law would always be more worthwhile than winging it and just making it up as you go along.The tests and what is tested is changing, couldn't have happened sooner. But, in light of your They keep it rant, that's not true. MOT is valid for full year from date of issue, you can have an MOT done whenever you please but if there is less than calender month remaining on your current one, that previous MOT is valid up until is anniversary expiration date. If it's longer than a month till expires, new test takes precedence.If though like you say they can keep it, MOT expired, new MOT failed well that boils down to thing, you leave your MOT till the last minute when yours has expired. If that's case and it fails they should keep it as you clearly aren't as responsible of a car owner and driver as one would hope. I do hope I am wrong because it is going to be very unfair, I’ll be too afraid to take my 17 year old Ford to the mot now, in case they kidnap him! It's your responsibility to keep your car roadworthy. Still get the points …It's your responsibility to keep your car roadworthy. Still get the points for tyres & the likes. As of may 2018 all cars over 40 years will be exempt from mot testing, doesn't mean they can ride around in a complete shed. Guess, people who have classic cars, are more trust worthy to look after their vehicle, than someone with a Ford fiesta. I'm waiting for the day the police send out producers to car owners with no MOT flagged on fixed ANPR cameras.... Or is that already a thing? Just having a quick google on the subject it seems to me that all they're …Just having a quick google on the subject it seems to me that all they're really doling is changing the word advisory to minor fault? Yes/No? Basically, they're trying to kill as many old diesel cars as they can. But yes, fails & advisories will be changing to Major & minor fails. Great eh. Basically, they're trying to kill as many old diesel cars as they can. But …Basically, they're trying to kill as many old diesel cars as they can. But yes, fails & advisories will be changing to Major & minor fails. Great eh. That's pretty much how I read the 'emits coloured smoke' thing. Even more ****ed off diesel owners LOL. And solicitors will think £150 an hour is pushing it, Football players will demand minimum wage, Mp's will refuse their 11% payrise an apple will do a 75% off sale. So what happens if your car fails the mot, and you think oh sod it I'll …So what happens if your car fails the mot, and you think oh sod it I'll scrap the thing, would you just leave it at the garage and drive walk of into the sunset? They would probably Hold it for 28 days then dispose of it for you, And send you a bill for it, in the hundreds (Daily storage fee, transport and disposal). Not sure to be honest. But they must be making a killing on untaxed cars lately, loads by us with stickers slapped on them in the last few weeks. That's pretty much how I read the 'emits coloured smoke' thing. Even more …That's pretty much how I read the 'emits coloured smoke' thing. Even more ****ed off diesel owners LOL. Yes, me, lol. Easy target now diesel owners. We all want to breath cleaner air & all that. If it's true it's going be a very stupid law and headache for both the mot places and customers. A mot place doesn't always have all the equipment to fix issues. Best thing to do is buy a £5995 Dacia every 3 years, then no more mot's to worry about. I agree I have looked at the new guidance it's like 131 pages i skimmed thorough it doesn't say it can't be removed from the garage I think page 9 or 11 says for retest see the previous rules.so assume this hasn't changed. Some mot places already charge te-test fees if you take your car away from there garage but I think it's best avoid these places in the first place. Moonwalk can you please show us the place where it says this unless a unscrupulous garage has told you this. I can't see how the garages would do this as trust me they don't have the time to fix every single car they mot. It would be too impractical for them and for the people whose car it is. I have skimmed thorough the guidelines but can't find anything about this seen loads of stuff on stricter rules for emissions and 1 main one for diesel cars is any smoke any colour if it comes out of a car at a mot centre whilst it's in there is a fail. That isn't really very clear as every single car gives off smoke unless it's say electric I assume there must be some kind of a limit though. All these online thus and that systems or rediculous they just are a hassle to normal drivers seen loads of cars parked on the roads no mot no tax never moved for over 6 plus mot's nothing happens to them it's always when someone forgets or something by 1 day or 2 the DVLA come around to impound these cars very dodgy and odd. Best thing to do is buy a £5995 Dacia every 3 years, then no more mot's to …Best thing to do is buy a £5995 Dacia every 3 years, then no more mot's to worry about. Yes, because everyone can afford to do that! Lol, it's probably the cheaper option. This list of changes will give garages more reasons, to rob blind the less mechanically minded amongst us. Moonwalk can you please show us the place where it says this unless a …Moonwalk can you please show us the place where it says this unless a unscrupulous garage has told you this. I can't see how the garages would do this as trust me they don't have the time to fix every single car they mot. It would be too impractical for them and for the people whose car it is. I have skimmed thorough the guidelines but can't find anything about this seen loads of stuff on stricter rules for emissions and 1 main one for diesel cars is any smoke any colour if it comes out of a car at a mot centre whilst it's in there is a fail. That isn't really very clear as every single car gives off smoke unless it's say electric I assume there must be some kind of a limit though. Yes, all diesels will need to pass the limit set by the manufacturer, should be on the Vin plate. Newer diesels manufactured after 2014 the limit has been lowered. Most newer diesels are junk now anyway, filters blocking up. The Government want us to buy a new greener motors & will keep making it harder for older diesel owners. You presume wrong, On the same note, Just because a car passes an MOT it doesn't mean it's roadworthy or it could become unroadworthy the second it leaves the MOT station etc..